PRESIDENTIAL hopeful Gavin Duffy has been dragged into a Bitcoin scam after his identity was used in a fake online ad without his permission. I'm not sure why this is flying under the radar. This seems extremely bullish for bitcoin. Empower users to own and control their Identity. In this session Microsoft, along with Sovrin, Blockstack and uPort will share why we need Decentralized Identity. We will share proof of concept from first set of proposed standards and challenges ahead with a decentralized identity experience for everyone and everything." 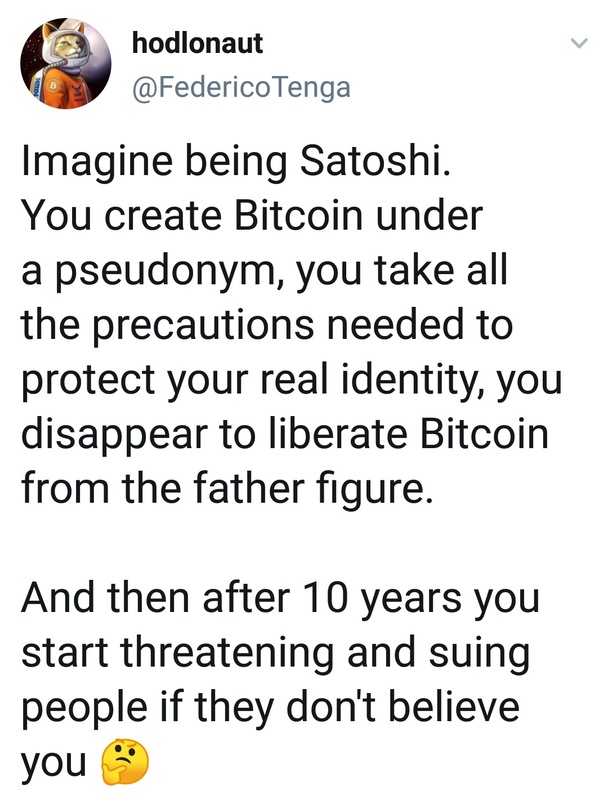 The idea behind this is for people to own their own identity (and property) information rather than having corporations holding your details and having to verify every user. This is an extremely big industry and costs user and corporations heaps in security, verification processes, customer service etc..
"To support a vast world of users, organizations, and devices, the underlying technology must be capable of scale and performance on par with traditional systems. Some public blockchains (Bitcoin [BTC], [E TH], [L TC], to name a select few) provide a solid foundation for rooting DIDs, recording DPKI operations, and anchoring attestations. While some blockchain communities have increased on-chain transaction capacity (e.g. blocksize increases), this approach generally degrades the decentralized state of the network and cannot reach the millions of transactions per second the system would generate at world-scale. To overcome these technical barriers, we are collaborating on decentralized Layer 2 protocols that run atop these public blockchains to achieve global scale, while preserving the attributes of a world class DID system." Clearly bitcoin is way ahead with second layer solutions (lightning network) and will therefore be the strongest candidate to run this system. Now, in May 2018, we're at the tipping point of inevitability"
When Microsoft releases this on the bitcoin network it will boost community and institutional confidence that bitcoin is still the leader in crypto development and has the strongest and most distributed blockchain. TLDR: Microsoft will soon release a decentralized identity system which will likely be built on the Bitcoin Lightning Network. Thank you Coinbase!! For taking sooo long to validate my identity, my account, and my bank transfers…your endless delays prevented me from investing in the crypto market before the crash!